An Australian backpacker is abducted by a deranged man in the German capital. In her previous two films, Australian director Cate Shortland notably mined outstanding performances from then unknown young female leads - Abbie Cornish in her 2004 debut Somersault and Saskia Rosendahl in her 2012 sophomore effort Lore, the latter sadly disappearing off the scene soon after. With her third feature, an adaptation of author Melanie Joosten's novel Berlin Syndrome, her lead is this time an established actress, Hollywood star Teresa Palmer, but with Shortland taking her to places we haven't seen the Aussie actress venture before, it almost feels like we're being introduced to a fresh new talent here. Palmer is Clare, a young Australian backpacker newly arrived in Berlin. While out wandering the streets she has a suspiciously manufactured meet cute with a handsome older man, Andi (Max Riemelt, best known outside Germany for his role in the Wachowski's Netflix series Sense8), and the two quickly dive into a sexual relationship. Having stayed the night in Max's apartment (he's the sole tenant in an otherwise deserted block), Clare finds herself trapped in his home, with no key left behind while he's off at his teaching job for the day. Arriving home in the evening, Max apologises and leaves her a key the next morning, but much to Clare's surprise, the key doesn't fit the heavy lock on the apartment door. She finally realises Max is keeping her around on purpose, something he confirms upon his return. 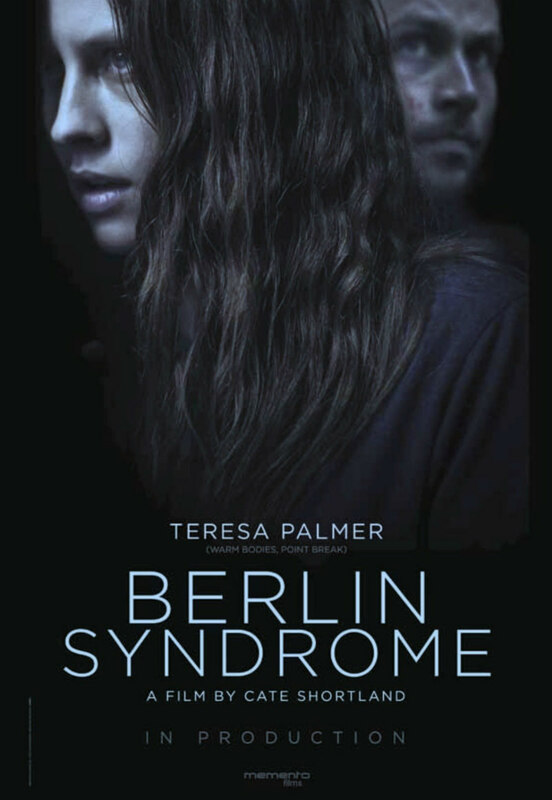 The title Berlin Syndrome would seem a pun on Stockholm Syndrome, the curious condition of hostages and abductees falling for their captors, but it's a red herring. With the likes of Paul Verhoeven's Elle and the awful Fifty Shades series exploring the darkest of female fantasies, it initially seems Shortland's intention to join this current trend, but Clare never falls for Max; she's always determined to escape his clutches, though her efforts are pretty pathetic. 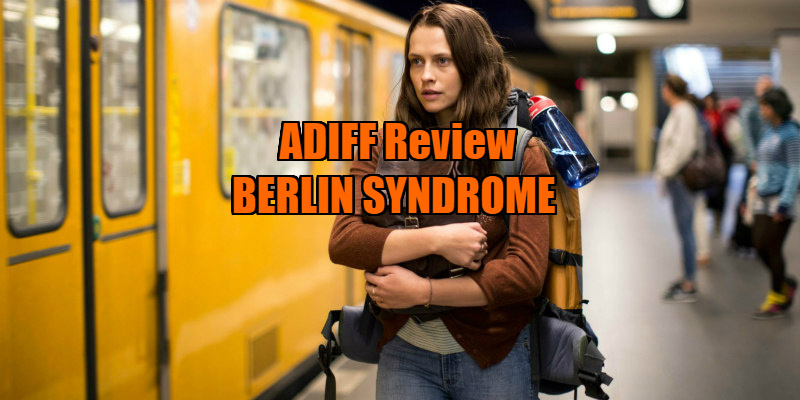 Berlin Syndrome may boast a pair of top-notch performances from its leads, along with some polished cinematography, but otherwise it's the sort of mediocre thriller that clogs up the Netflix catalogue. Max is an unconvincing villain, and the film's attempts to humanise him (much time is devoted to his relationship with his aging father) jar with the otherwise generic thriller tone of the movie. Oddly, we learn more about Max than Clare, who despite several attempts to escape her captor's clutches, seems quite happy in her situation at times, twirling and dancing around his apartment in a manner that resembles Palmer's audition tape for her bit-part in Terrence Malick's Knight of Cups. As generic a thriller as Berlin Syndrome is, it can't even get the basics of the genre right, with a lack of suspenseful sequences and some very awkward plotting - the climax relies on a plot beat that involves a supporting character making a decision that defies credibility. Shortland is but the latest director who having proven themselves in dramatic territory, fails at a first attempt to transfer their talents to genre fare. Berlin Syndrome played at the Audi Dublin International Film Festival. It opens in UK cinemas June 9th.